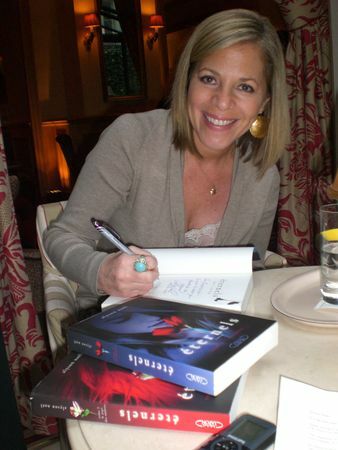 I was lucky to meet Alyson Noel, the author of the Immortal series, in Paris when she came in France early December. Francesca : Welcome in France Alyson! Is it your first time in Paris? Do you speak French? Francesca : There will be 6 books in The Immortal series. The last book, Everlasting, will release next year in the US. Have you finished writing it? Are you sad to end this story? Alyson Noel : Yes, Everlasting will release in June 2011. I’ve finished it a month ago and now it’s on production. It’s a sort of bitter sweet to finish it. It’s my first finished series. I’m really excited to finish, but it’s also a little bit sad. You spend so much time with these characters who become almost real to you like friends, and to say good bye, it’s kind of sad. But I tortured them a lot, in 6 books, so they deserve a break from me. Francesca : Do you think you will write one more book in the series? Alyson Noel : The series has such a really defined ending. When I started to write it, I knew exactly where it will end. Maybe later, I will see it differently, who knows, but now I feel very happy with the way that it closes. Francesca : Which character do you feel closer, Ever or Damen? Alyson Noel : I feel closer to Ever, mostly because the series was inspired by loss. I’ve lost some people quickly, I almost lost my husband from leukemia. It really changed my life. When I was writing Evermore, Ever lost her family like I’ve lost someone I loved. I really put part of myself into her. So I feel more connected to her because of that. Francesca : The character of Jude is appearing in the third book. Why do you have introduced a sort of love triangle in your story? Alyson Noel : Ever met Damen during her life, but there were other years without him, and other relationship maybe without him, so I really wanted to explore it further what her life might have been, and who else might been a key player in her life. Jude is certainly a part of her past. There will be more uncovered mystery. Francesca : Dark flame will release in March in France. Can you talk to us about this book? 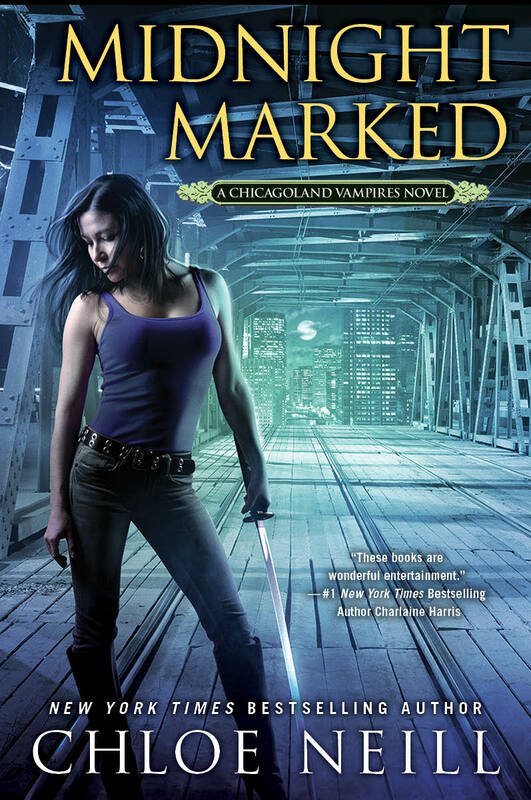 Alyson Noel : It picks up right after Shadowland. Ever has to deal with Haven who is now an immortal. That involves a lot of changes. Haven is a complicated person, she’s incredibly unsecured, she’s also crying out for attention. She’s actually a kind of sad character. She wants so badly to be good friend with Ever. Ever has to deal with Damen and ude. She has to find the antidote too. Francesca : In Shadowland, Damen is no longer interested in material things and thinks about balancing his karma. Do you share this point of view in the reality? Alyson Noel : Yes. I’ve lost people I’ve loved very quickly, and then my husband got leukemia, and he was so ill, I was almost very close to lost him too. It’s certainly things like that which make you realize what truly matters in the world. Nothing else matters when you are in moments like that. Damen is so regretful about the way he used to live. Francesca : Ever has many friends who are loyal. Like her, do you find strength with your friends? Alyson Noel : Your friends are a sort of the family you choose. It’s true. Ever, before her accident, in her old life, she was a cheerleader, she was very popular, she never paid attention of people’s life. By opposition, she suddenly has to be friends with the outcasts, because she is an outcast. And they have nothing in common, but they find a common bond and they support each other. We don’t really share all in common. But it’s interesting because friends bring something else to us. Francesca : Do you want to be immortal? Alyson Noel : No. There are definitely benefits to be immortal. Damen has lived an extraordinary life, all the experiences he had, all the people he has met, and because of that, he is able to focus on what is really important. Nothing to him is new, life is a cycle. But on the other side, Damen has never been able to settle in one place, to have relationships with someone who wasn’t like him. Personally, I found it sounds very lonely. It’s too many good byes for me. Francesca : Do you believe in reincarnation ? Alyson Noel : I find the concept very fascinating. In a lot of ways, it makes a lot of sense, sort of recycling the soul, getting the opportunity to realize your destiny. The more I’ve read about it, the more fascinating it becomes to me. Certainly, in the case of a fictional world in a book, to have soul mates coming together, again and again, it’s a incredibly romantic notion that I would love to believe in. Francesca : Have you dreamt to go in Summerland? How did you create it? Alyson Noel : Every time I get to write a scene with Summerland, I actually get a lot excited. It’s a magical and beautiful place which you can have whatever you want to create. The idea of Summerland is not mine. There are lots of believe in Summerland, some called by other names, some called Summerland. It’s just infinite what you can do. It’s the most pleasant part to write. Francesca : Are you surprised by the success of the series all around the world? Alyson Noel : Definitely. When you’re writing your book, it’s just you and the characters in the computer. I dreamt about a success in America, but this sort of global enthusiasm of the series is something I’ve never really even dreamt about, in 36 territories, it’s just enormously gratifying. It’s a dream come true. Francesca : The first book of Radiance series will release in January in France. Why have you decided to write a spin off of the Immortal series? Alyson Noel : Riley had originally a small role in Evermore. I wanted Ever had a family that she missed, a relationship with her little sister, in a ghost form. But I didn’t really anticipated that, when she appeared in some crazy costumes. I enjoyed her. I kept her in a lower level, I was really sad to make her alone but I had to because it’s Ever’s story. So my publisher asked me if I was interested in writing a spin off of the series, about Riley’s adventures. I figured she had a strong presence, a strong voice, she definitely had her own story to tell. She is a strong character, so she can carry her own book, even if she’s 12 years old. So I just said yes immediately and started to work on Radiance. Honestly, it was the most fun I’ve ever had written book, the story and the character came very easily. It picks up no longer after the end of Evermore. Riley has crossed the bridge to the other side. She finds herself in a place called Here and now. She is hanging out in the clouds. She has a job to do. She is a soul catcher, which means she’s a guide. He’s 14 and his name is Body. She returns on Earth to convince the ghosts to cross the bridge. In the 1st book, she meets a 10 years old boy, she thinks it will be easy because she’s 12, but he’s a lot tougher than she thinks. I finished the 2nd book in the series called Shimmer. Each book in the Riley series, it’s unlike the Immortal Series, each story will be closed, the relationship between her and the people she meets will continue, in each book you’ll see a new place and a new ghost. There will be four books in the series to start. Dreamland is the 3rd book and I’m working on it now. I think Whisper will be the 4th book. Francesca : Do you have other projects except the Immortal series and Radiance series, for example single novels? Alyson Noel : I have another series called Soul seekers. It’s for teens and it’s again supernatural and paranormal. It takes place in the American south west, probably Mexico. 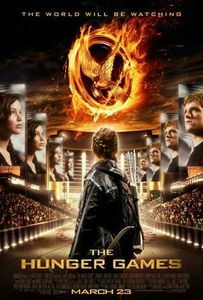 The debut in America will in 2012. I’ll probably start to write it in 2011. There will be 4 books. It will explore something about chamanism. I’m really excited about it. The main character is a little different of Ever, she has a hard life from the start, while Ever had a comfortable life which became difficult. She’s a little more mature. Francesca : Why do choose to write paranormal novels? Alyson Noel : My first books are contemporary, realistic novels. I was always fascinating by ghosts and other things. It was since I’ve lost people and almost lost my husband that I was starting of thinking about life and death and mortality. I couldn’t write something like that until I’ve had something personal to say. The best way to explore those ideas in a fantasy book, you just create crazy things. Francesca : Which books and authors do you like to read? Alyson Noel : I really like Holly Black, Cindy Pon, the books I’ve grown up with like Wuthering Heights. Thank you so much Alyson, you’re adorable!